There was a pretty young lass who desired to accomplish much, and set her sights on writing fiction. Befriending achievers she became popular by association. and thoughts. “Wow that’s a bestseller!”, “Excellent work get a publisher!” said they full of praise. Her ego was raised and she became full of self praise. This lass became a spendthrift to fit among the top notch, made regular purchases of new bags with shoes to match. Also dating a rich publisher to her was quite a catch. The lass cared not for old friends, shunned them and laughed at mama’s prayers and tears. The knock on the door was almost unheard as in unison thunder announced the coming storm. A delivery of newspapers it was, for the day of media reviews of the book had dawned. Her face beamed with a smile, looking back with delight at her gold trimmed writing world with a sugar daddy for a publisher and top class publicity. The promise of free book signing events she received in a club was to her a seal of his unending love. As lightening struck, her smile cracked and shattered in an instance, tears streamed down as she prayed to awake from the horrible dream. A dream where she was pinned down by critical words as sharp daggers causing unbearable pain. Her sobs were as the sound of the raindrops and became wails, louder than the hurricane late into the night! Such was her state, in shock for two days. Mr lover man, the publisher answered not his phone, nor did he and her uppity friends return her calls. In shame she called her mama who sobbed on the phone and rushed to cradle her baby girl, home alone. “Have a vision, run with it but never leave your true self and her backers behind. People in shallow places, pout what they know their peers want to hear, to tease the ear. To be in the click, they stroke each other’s backs and throw kisses as enticing cats. You were too naive and tame to know my child that with them elevation at all costs for fame is the name of the game. homeward bound they drove with mum singing praises at the wheel. The lass fell asleep and saw a man, then he became the Door and in she went. There a pasture of beauty appeared, full of books and scrolls embedded in the soil “as potatoes ready for the picking…” were her thoughts. She heard a voice say “Now you know trusting self and the deceiver avail nought and all that glitters is not gold. A repentant heart is my writing board, a place wherein I impart my vision. 9Reverence for the LORD is pure,lasting forever. The laws of the LORD are true; each one is fair. 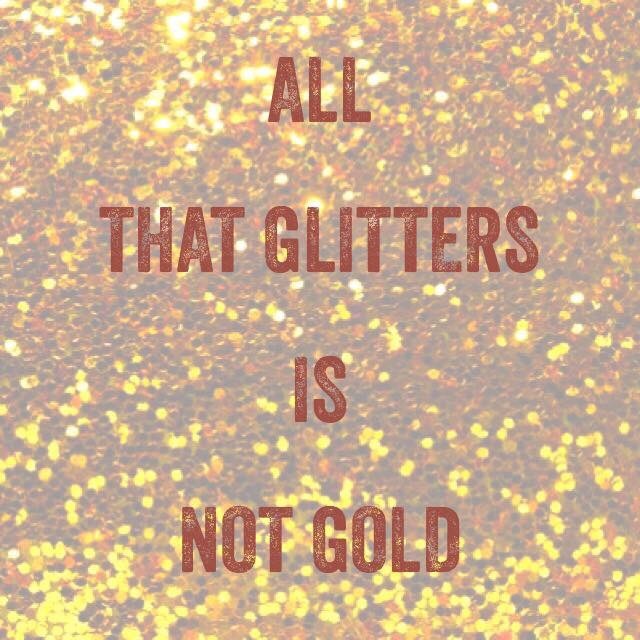 10They are more desirable than gold,even the finest gold. They are sweeter than honey, even honey dripping from the comb. 11They are a warning to your servant, a great reward for those who obey them. 12How can I know all the sins lurking in my heart? Cleanse me from these hidden faults. 13Keep your servant from deliberate sins! Don’t let them control me. Then I will be free of guilt and innocent of great sin. 14May the words of my mouth and the meditation of my heart be pleasing to you, O LORD, my rock and my redeemer. -One way ticket to Heaven on the Metro. -Jesus Heals the Brokenhearted & Sets the Captives Free. -Restoration from failures of bygone years. 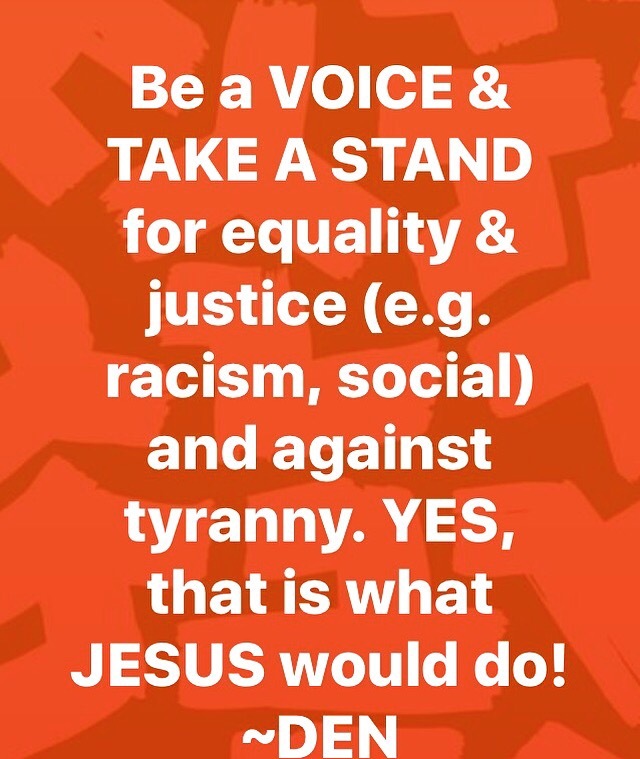 Like Jesus – Be a Voice, Take a Stand! 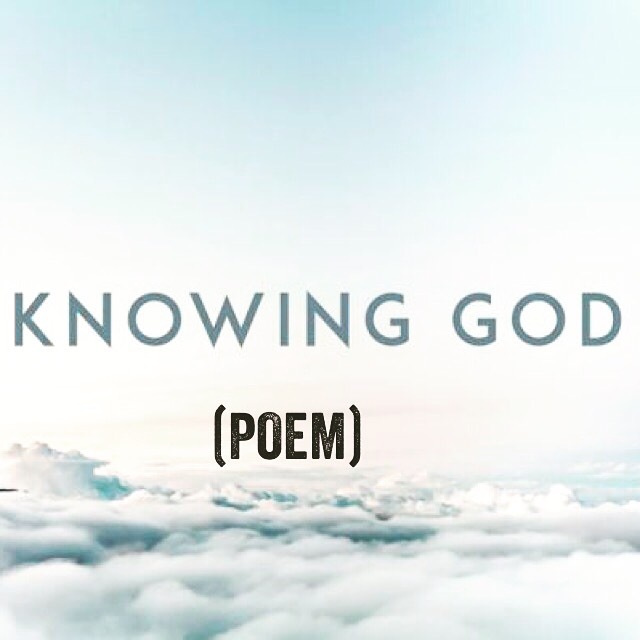 Do you know Your God? Those who know their God shall be strong and do exploits! Do you know your God? The Father of the Lord and Saviour Jesus Christ ? No I don’t mean “know about Him” nor what the scriptures say of Him. Yes, hearing about Him and reading the holy scriptures is a start. But knowing Him goes far beyond. 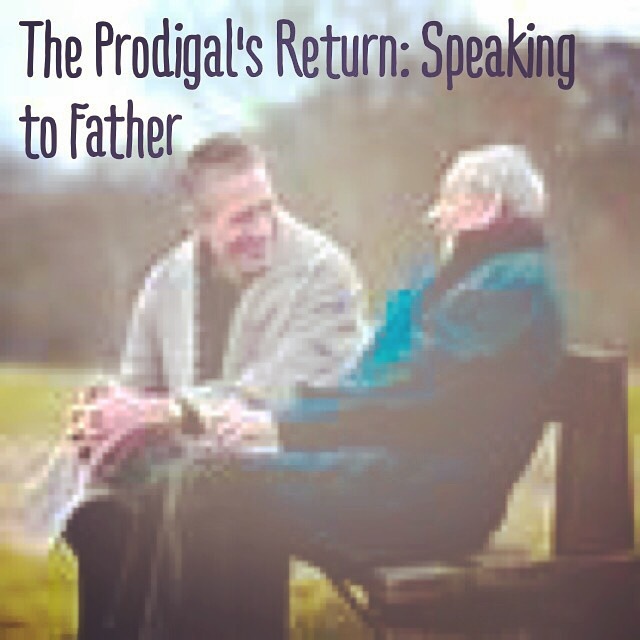 Knowing Him releases you from doubt and from being attentive to deceptive whispers and subtle nuances of Satan, the father of lies in every day life. Knowing Him arms you with invisible weapons that manifest in outbursts of praise and the ability to discern and prophesy life into dead or binding situations. Knowing Him gives you a supernatural ability to be a step ahead of your enemies and to overcome the wiles of Satan not just for yourself but for the weak and vulnerable. Knowing Him is your shelter from life’s dangers as He is a Father who is forever holding you in His arms, comforting you and giving you wisdom in every circumstance. 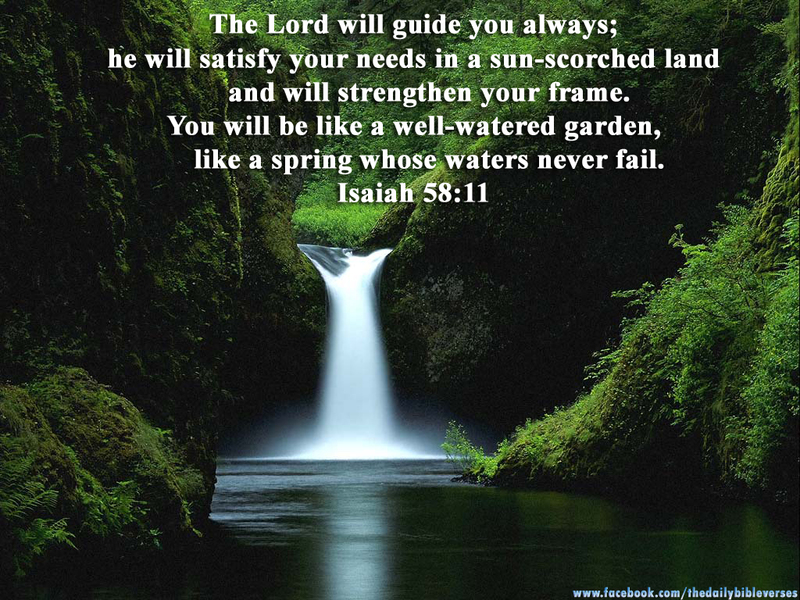 Knowing Him is like having a dependable survival kit all the days of your life. Do you know Your God ? Humanity in harmony speaks of peaceful co-existence and resistance to divisive persistence. Humanity in harmony is as the sound of a splendid composition from a symphonic orchestra, a reminder of the perfect handiwork of the skilled creator. 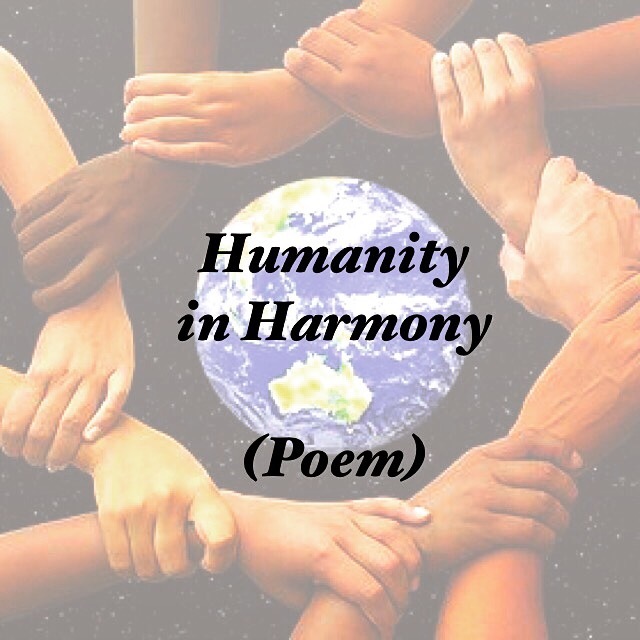 Humanity in harmony is a song with diverse harmonies perfectly intertwined, compelling the listener to erupt with rhapsodies of praise. Humanity in harmony is a rainbow of colours, individually significant yet their brilliance is enhanced only by convergence. Without humanity in harmony, we are as good as dead. Your conviction was maddening and your silence was heart wrenching, I could no longer take the suffering. When you turned your face away from mine distorted with sin, I knew not what to do. My life was a wreck and then began a game of hide and seek. You hid, pulling away it seems as I desperately held onto your feet. I searched for you among religions of ancient and modern civilisations, but find you I did not. A semblance of you evoked by chants, said to be god in me appeared, but to me a figment of man’s imagination. If the lie as a pill was swallowed, a puffed up ego, a beast I was to be. A peace of sorts felt was naught but an import from dead emotions, a self convincing fabrication. After time that felt like eternity but to you merely a blink of the eye, your mercy appeared, as the dawning of a new day. Your power and peace as mighty warriors I knew from bygone years fought off my captors, teaching my hands to war and delivering me from all my fears. Once again I developed a lasting hunger for the meat of your Word and an unquenchable thirst for the living waters of your Spirit. Once again and forevermore, I feel your presence and the warmth of your embrace. Up and down the land she walked, as a wanderer seeing naught and feeling lost, she sighed and cried “I have stalled ‘cause of the fog and drought”. Even within, she felt barren and dry wanting to pray but too weak to try. Then came a light so bright before her face, but looking around she saw no one in that place. Within her heart, she heard a voice say loud & clear “I am the Light of the World who loves you, my dear”. Then he placed a fountain in her heart and said “Out of you shall flow rivers of living water to quench your thirst, so you shall never falter”. Then suddenly her heart became a well watered verdant land, from her mouth was a melodious waterfall, and her eyes were awash with God’s salve to never falter or fall. The dream spoke of God’s Light, His love and the River of Life, a picture of what is to come, a revelation of God’s delivering might and abundant promises day and night. 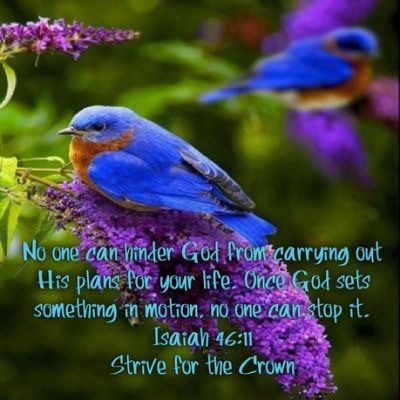 If you are not already, I encourage you to visit/subscribe or follow my blog Elohim God’s Prophetic blog. Abundant blessings to you & yours! Introduction: Nowadays at every turn one reads or hears about “white privilege” a term that is used often and debated a lot in America. 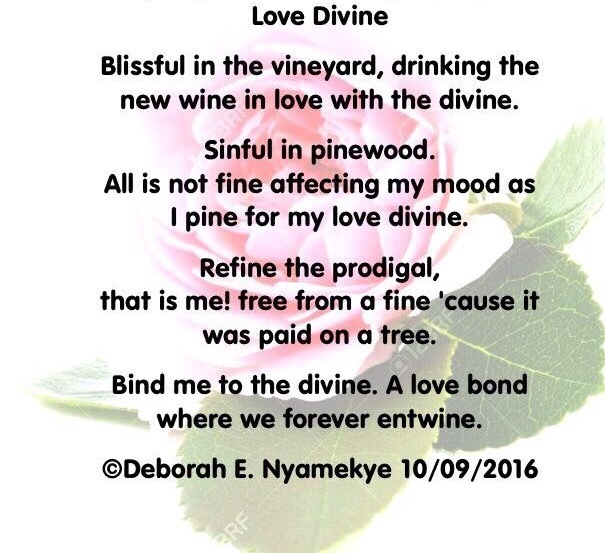 This is the storytelling (fictitious) perspective of a black “young adult” some may not readily have, a poetic reflection simply called “The Principle Thing” that gives food for thought. At every turn is “white privilege” uttered and sprawled, pointing to those with might of leverage. Among the elite of her nation, this young adult once knew “black privilege” and was rolling in plentiful rations of dosh. then this young adult gladly exchanges her privilege for rations of love plentiful in the slums, scarce amidst her home of glitz. What then of insurmountable heights of “white privilege”? then this young adult is void of envy. 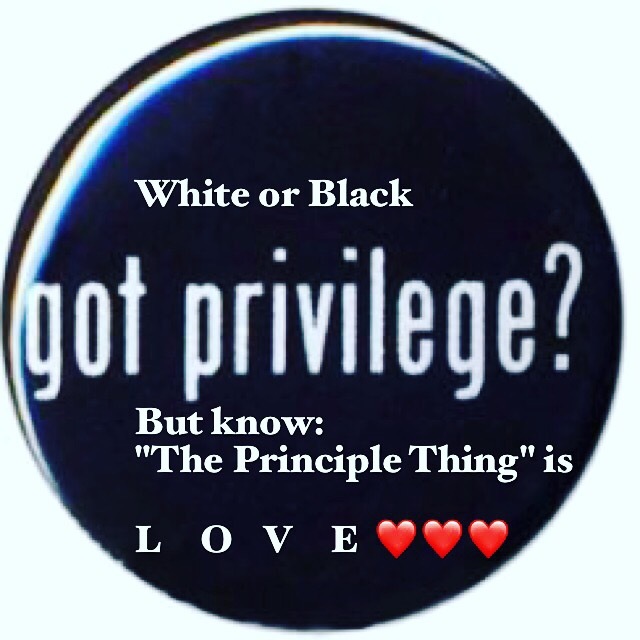 For privilege, black or white augments not a man’s worth for all men are created equal and heals not a stony heart whose fate is eternal death, now that’s the reality! The heart, like a tilted cistern overflowing with love, not privilege is the principle thing. We are at war. Can you hear the sound of gun shots? See the lifeless bloodied frames, like mugshots? We are at war. Can you hear the sound of thundering grenades? See men running for their lives, among them, renegades? We are at war. Clad in the full armour of God, I hear not the frightful sound, but praising heavenly hosts I hear. I see not the gory sights and frenzied crowd, but joy-filled victorious saints I see. 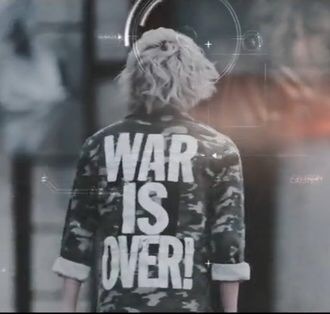 War is over! that’s a comforting decree. For on the cross Christ paid the price so we declare “the weapons of our warfare are not carnal, but mighty through God to the pulling down of strong holds (2 Cor. 10:4 KJV).